A preview version of Jaguar’s upcoming electric sport-utility vehicle sent a charge through a panel of automotive journalists who named the I-Pace the “Most Significant Concept Vehicle” of 2017 when North American Concept Vehicle of the Year (NACVOTY) awards were announced today. The I-Pace concept is a 5-passenger all-wheel-drive vehicle with a flowing, aerodynamic design; flush door handles; a panoramic roof; and a “floating” center console. Power is generated by twin electric motors rated at 400 horsepower and 516 lb-ft of torque. It is the precursor to a retail-market I-Pace—due out in the latter half of 2018—that will be Jaguar’s first electric vehicle. 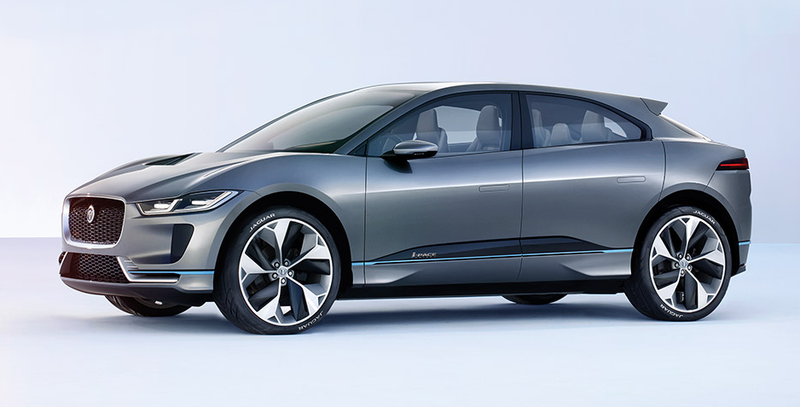 The I-Pace was the second Jaguar to win Most Significant Concept laurels in the 16-year history of the award, the first being the C-X75 hybrid coupe in 2011. On its way to final-round consideration against three other vehicles the I-Pace first had to win its core category, Production Preview, composed of concepts based on a model already announced or planned for production. There the I-Pace bested the Infiniti QX50, Subaru Ascent, and Volkswagen Passat GT to claim the third category trophy won by a Jaguar vehicle in any class. Other finalists for the Most Significant Concept honor were the Aston Martin RB 001 Valkyrie, Volkswagen I.D. Buzz, and Genesis GV80. The Valkyrie is a supercar collaboration between Aston Martin and the Red Bull Formula 1 race team. Its fluid body contours surround a teardrop-shaped cabin. A 6.5-liter Cosworth V12 augmented by a kinetic-energy recovery system produces an announced 1130 horsepower in a road-legal vehicle. It emerged from the Concept Car category for passenger-attuned long-range prototypes, where other class finalists were the Cadillac Escala, Chrysler Portal, and Nissan V-motion 2.0. The Valkyrie was the first Aston Martin to win a NACVOTY group award. The I.D. Buzz and GV80 were co-winners of the Concept Truck category, where they outdid the Toyota FT-4X and Lincoln Navigator. Volkswagen picked up its fourth category honor via the I.D. 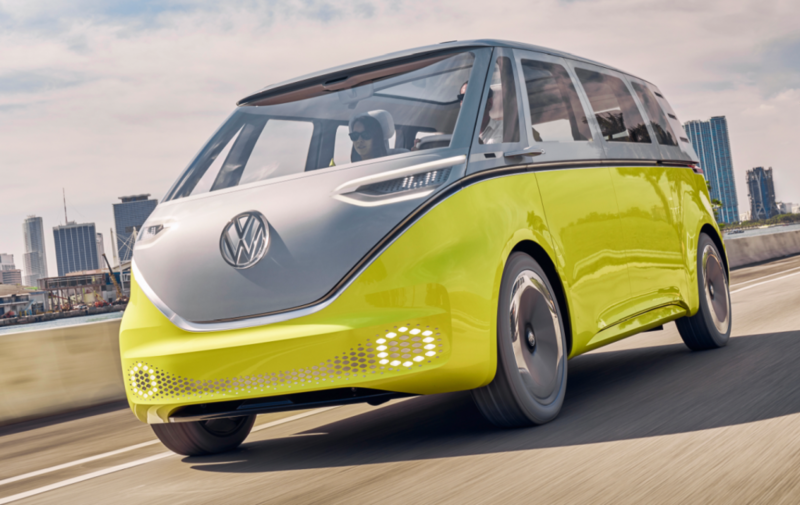 Buzz, an autonomous-driving electric-powered minivan with vintage VW microbus styling cues. (The German automaker’s electric Budd-e van was the 2016 Concept Truck winner.) 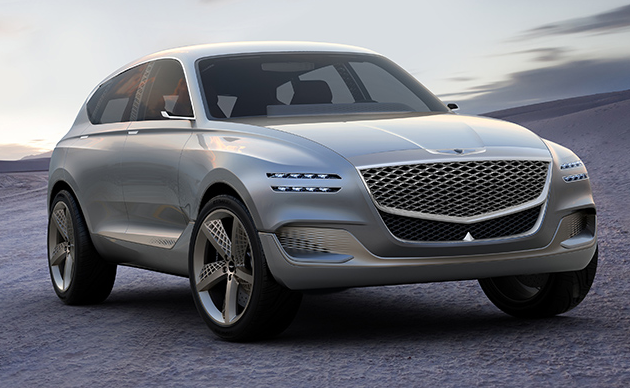 The GV80 Concept depicts a midsize SUV designed for hydrogen fuel-cell electric power. A full-length console provides four passengers with touch controls for their individual entertainment systems. Genesis, which garnered its first class award, says there will be a GV80 on the market in 2019. 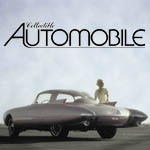 A total of 24 concepts that made their North American debuts at the most recent Los Angeles, Detroit, Chicago, Toronto, or New York shows were eligible. The I-Pace bowed at the Los Angeles Auto Show last November. The first North American showing for the Valkyrie came at the Toronto show in February. The I.D. Buzz was unveiled in Detroit in January, and the GV80 first appeared at April’s New York show. More than two dozen writers, photographers, and broadcasters participated in the selection process. (The author is a member of the NACVOTY jury.) The awards were announced at a morning presentation held in conjunction with the Concours d’Elegance of America at St. John’s in Plymouth, Michigan. Written by: John Biel on July 30, 2017.on January 21, 2018.